Choose the “Original” canopy design you like the most. Enter code ENBABY at the checkout to take 100% off the price of the canopy. If you choose a more expensive canopy (NFL or caboodle sets) you will need to pay the difference. Want more than one canopy so you have one to wash and one to use? Just come back here, click the button and follow the steps over again to claim a second one. 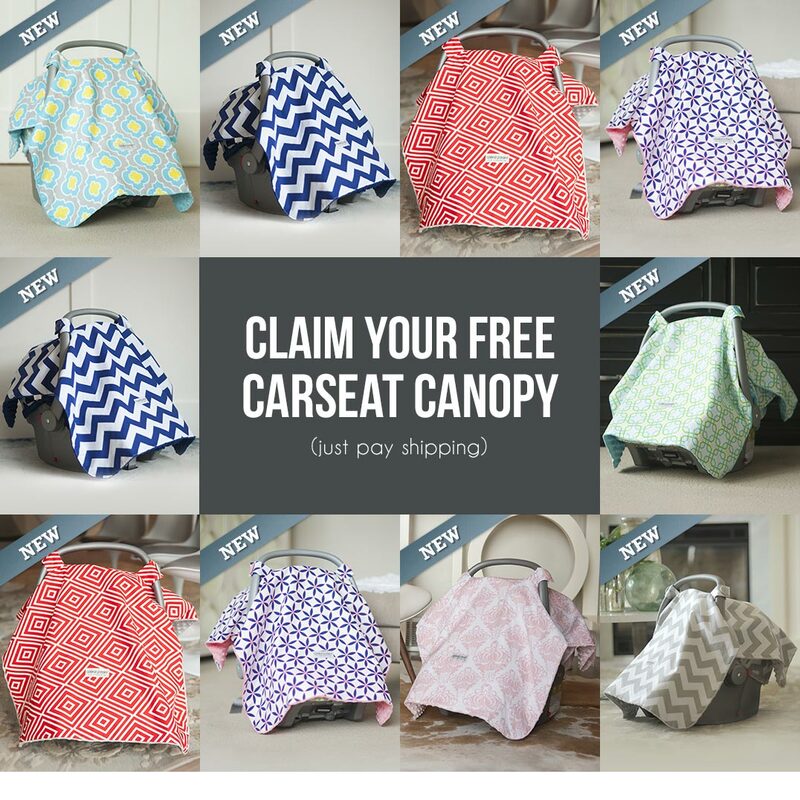 Infant car seat canopies are a fun way to brighten up your car seat and express your style. And they are also a great way to keep your baby away from prying eyes when you are out and about. What is it with people who think they have the right to get up close to your baby and cootchie-cootchie-coo them anyway? They are also perfect for keeping the sun off in the summer and the wind off in the winter. There are a variety of colours and designs to choose from. Pick one that’s perfect for a boy or a girl, or go gender neutral if you are having a surprise, or if you plan to have another baby.